What is Thelema Trio? 1 month 2 weeks ago. In the mean time Thelema Trio members are far from resting. Check out the first official video of Peter's brain child Wound Collector. Their first CD will be released on 24 May through Profane Records and pre-orders are available. Go give these guys a 'like! 1 year 1 month ago. Tonight we perform our programme at the Conservatoria Regional de la Musica in Castelo Branco! Hope to see many people there and make some more beautiful memories! 1 year 2 months ago. Tonight our very first concert in Portugal ever at Teatro Municipal da Guarda! 1 year 2 months ago. Thelema Trio is with Peter Verdonck and Ward De Vleeschhouwer. 1 year 2 months ago. 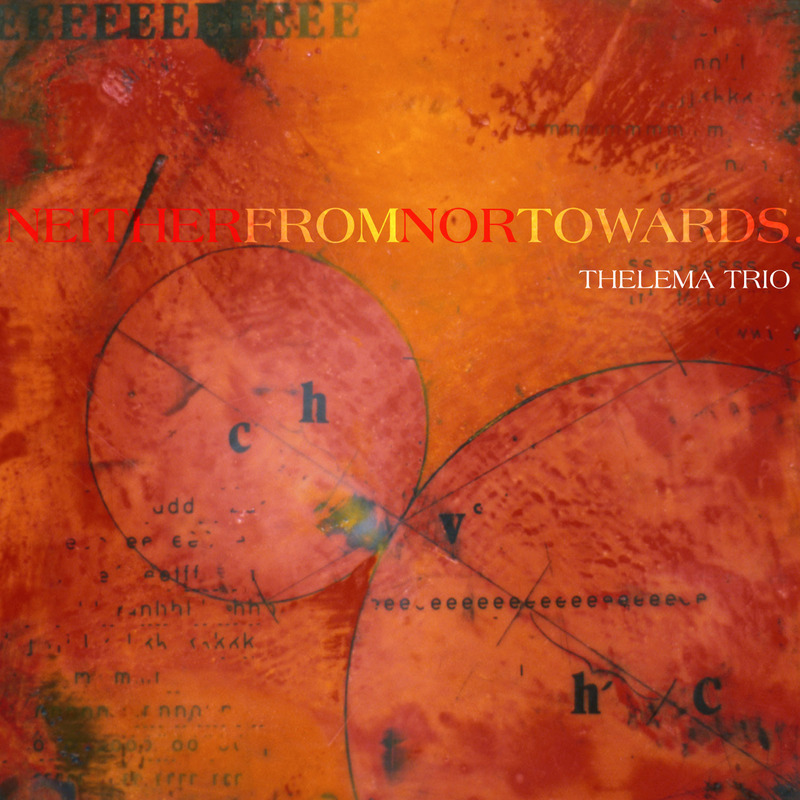 Neither From Nor Towards…, the second full-CD of this promising Belgian trio, features exclusively compositions for saxophones, clarinets and piano which have been written for Thelema Trio by composers from North and South America. The trio has worked intensively with these composers during their concert tours in both continents over the past years. Neither From Nor Towards… is the fascinating result of an international and multicultural confrontation between musical minds. The trio breaks not only geographical but even more musical boundaries. The music on this CD reveals many different contemporary composition styles, varying from a filmic carpet to a rather avant-garde sound. This record tells the story of composers and performers, and takes the listener on a personal and thrilling exploration of an exquisite landscape of rhythms and colours. Composer Eric Honour didn’t only create an outstanding piece that lent its title to this new album, but he also accepted the task of producer and recording engineer. With this record Thelema Trio assembles a musical bouquet in which both their technical velocity and intriguing sound colour are expressed. The continuous striving for virtuosity and colour, is always the main motivation for this trio which was founded in 2003. Why "Thelema?" In the late 19th Century and early 20th Century occultist Aleister Crowley wrote his book "The Law Of Thelema". In this book he states his philosophy, of which the main rule was "DO WHAT THOU WILT SHALL BE THE WHOLE OF THE LAW". This law had only one thing to keep in mind, which was not to hurt anybody in doing so. Thelema Trio has no occult interests, but the trio absolutely supports the main rule in their music. These three young musicians make their own choices and play the music they like. Every interpretation and performance is according to their own feeling and will, and that of the composer. Therefore this name was very determining and describing for what Ward, Marco and Peter believe in, and most of all... DO.